Sometimes a book comes along that changes everything, and makes people revise their notions of what science fiction and fantasy are capable of. And then tons of people try to emulate that book's achievement, with mixed results. But what's your favorite book that spawned a ton of imitators, but remained one of a kind? Please include a book cover, book trailer, or other artwork for your chosen book. And please mention the title, the author, how people tried to copy it, and why it remains unique. Thanks! 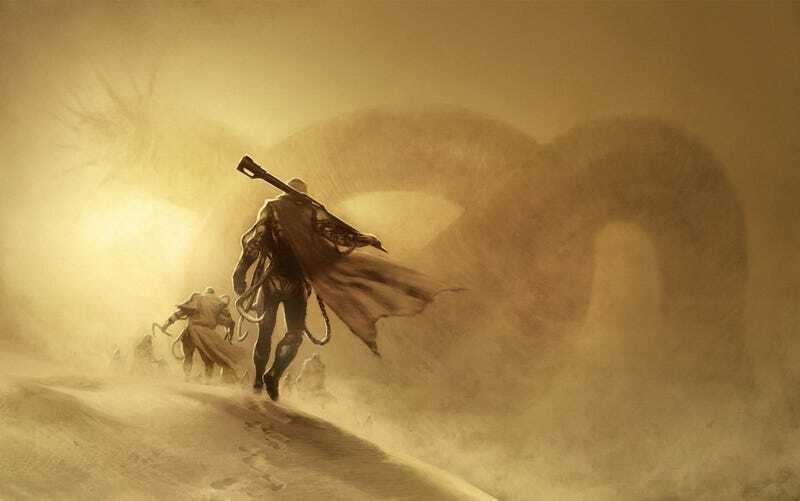 Top image: Dune by Frank Herbert, image by Henrik Sahlstrom. This book helped launch a ton of gritty sagas about far-off worlds, court intrigue, and environmental disasters. But nobody has ever come close to copying it.